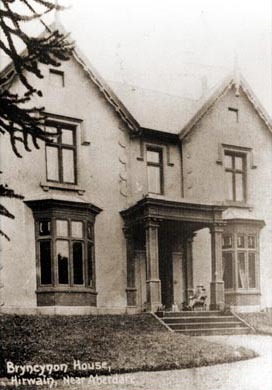 A very prominent family in Hirwaun from the 1850s to the 1960s.’ Bryncynon House’ was the family home on Merthyr Road – known to the locals as ‘The Plas’. 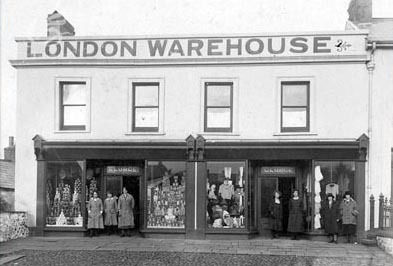 The family owned the very large ‘London Warehouse’ store on High Street which housed a grocers, drapers and a pharmacy serving the public. “One of the more colourful professional men in the village was the Chemist John E. George. The family were the proprietors and makers of the famous Pile and Gravel Pills (Patented c. 1870) “The Marvellous Remedy for Pile and Gravel“. In 1865 John E George was also the Postmaster. 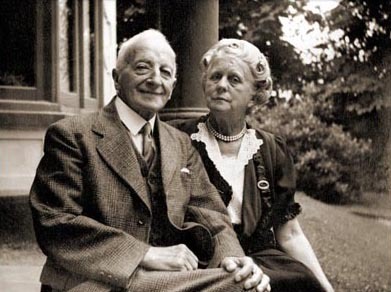 His son J. Owen George succeeded him. 1. Pile and Gravel Pills. 3. Pills for the Piles. The boxes containing these products were labelled white, blue and red respectively and carried a Trade Mark of Eagle and Globe (and the warning beware of imitations!). They were sold at 1/3d and 3/- a box. Mr. and Mrs. Owen George, with their own family having gone their own way, were the last to live in the village, and the shop staff were still packing and supplying their famous ‘pills’ into the 1950s. Mr. George could be seen walking up from Merthyr Road every day, at a great age, to his shop. The building existed until the early 1960s when all that side of High Street was demolished to make way for the new council flats and a car park.